Even the most famous of dolphins in the world like to go clubbing from time to time. 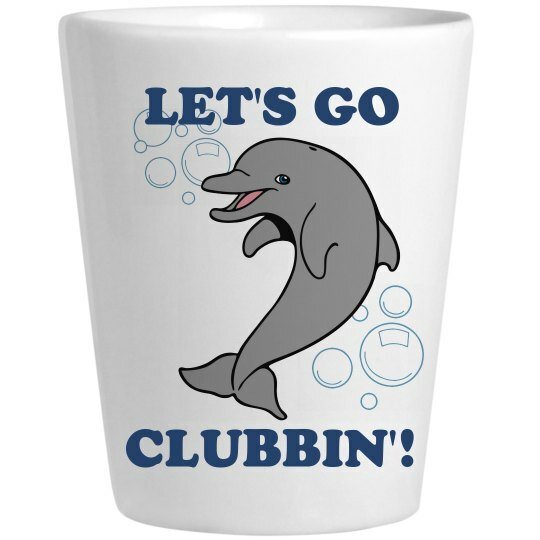 If you are a fan of dolphins, and a heavy drinker, well is this the shot glass for you! Custom Text: LET'S GO | CLUBBIN'!